Skunk2 Full Coilovers - Pro-ST MAZDA - MiataRoadster - Stay tuned with MiataRoadster! 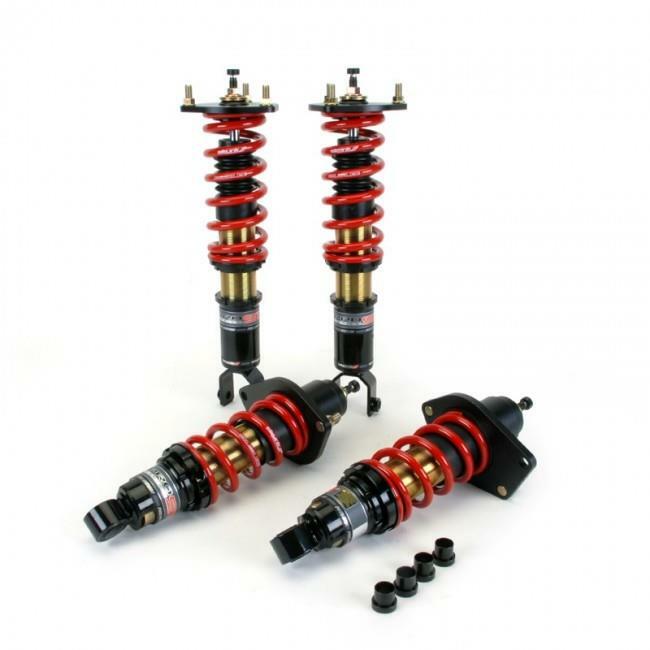 Skunk2 Racing’s Pro-ST Coilovers are engineered as the best single adjustable suspension system on the market at a price point you can afford! Serious club racers and discerning high performance street car owners agree that the Pro-ST’s 12 way dampening, mono-tube design, threaded shock bodies with independent height/ spring pre-load adjustment, and billet radial bearing upper camber mounts give them all the control they need at the track without sacrificing ride quality on the street.